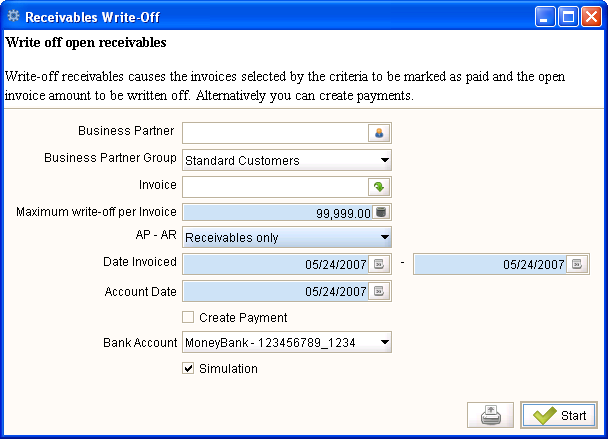 Help : Write-off receivables causes the invoices selected by the criteria to be marked as paid and the open invoice amount to be written off. Alternatively you can create payments. This page was last modified on 14 December 2006, at 12:26.